With the Summer of 2108 nearing a close, we return to our love for the ocean. It’s our favorite place in the world. As soon as we have the time we go there. We feel a mysterious longing for the sea as some kind of secret to our own identity, as if our blood had salt water in it. Symbolically, I, the surfer, am—myself. The body with which I surf in the sea symbolizes the soul, with which I “surf” in God. The sea is God. The beach is the approach to God. Surfing is the experience of God, or the spiritual life. It has been that way. Beginning when I was kid of six or so, my family would take us to the beach, whether Kill Devil Hills or Nags Head or Kitty Hawk, usually in mid to late August to, as my dad would say, recharge. 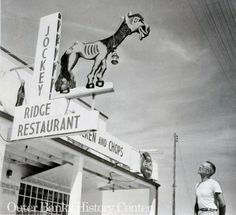 Growing up in Great Bridge, back in the day, we were always only an hour and a half or so away from the Outer Banks. In High School, Friday evenings we would strap the boards to the roof and drive 168 south with a few bucks and maybe a blanket to sleep on…not that we slept much. It was a monastic journey, aided by illegal plants from the good, green earth. It was a work, to work towards our desire for the sea, and that desire had to be deep…a sensual practice, it constitutes its sacred center, and the corresponding experiences are constructed in a way that leads to a belief in nature as powerful, transformative, healing, and sacred. In a deeper sense, it is an understanding that everything is part of God even though God is more than everything added together. The key was to live well below our means, stripped down, just the essentials. Over the years, we put together a loose list of things we jokingly called ‘Surfer Rules’. Hardly rules at all, but more like a set of things to think about, ideas to live by. We’ve added some, taken some away, but every once in a while, usually after coming back from recharging, we like to revisit them, for old time’s sake if nothing else…. 1. Always take the beach road. Even when there is a modern highway right next door, where you can drive 55 or 60, pull off onto the beach road, turn off the AC, and roll down the windows. 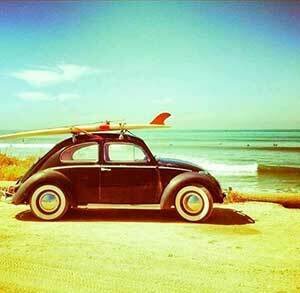 Take the beach road. 2. Drive south. This is a metaphorical rule, but in most cases, it seems to fit. 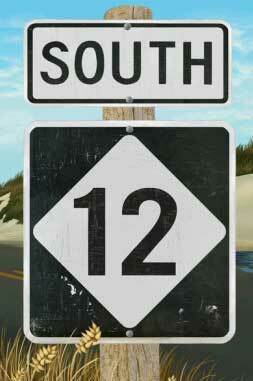 When you reach the ocean, there is invariably a T in the road where you can go north or south. Go south. 3. If you need more than a board (surf, boogie, skim, etc. ), fishing tackle and something to boil shrimp in, you’re in the wrong place. 4. Avoid restaurants that advertise ‘All You Can Eat’ seafood buffets. 5. 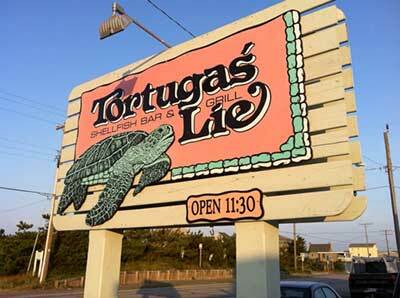 Eat at a place like Dune Burger, or something similarly named. You know the place, kind of a shack where you order from a sliding window and it has greasy picnic tables outside. 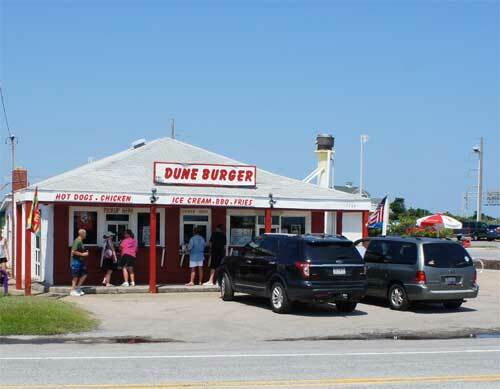 Although this meal may be your last, eat at Dune Burger. 6. Surf or swim naked. Avoid intellectual stimulation. Think less, live more. Ride waves. 7. Avoid beach destinations that offer activities: author readings, children’s story times, yoga and exercise classes should be avoided at all costs. Outlet malls are strictly forbidden. 8. 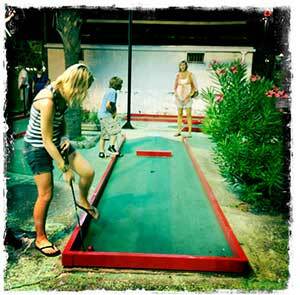 Try not to play Putt Putt…but if you must, have fun! 9. Eat Wanchese shrimp. Every beach has something that is uniquely theirs; the Outer Banks has Wanchese shrimp. Eat local. 10. Don’t be a you know what. Share the ocean, share the beach. 11. Never jog on the beach. If you do, please, no socks and running shoes. 12. Never wear Speedos. If you must, be sure to own it. 13. Long boards are okay. Just learn to turtle roll. 14. Wear Roxy Bikinis. Roxy rocks. Simple. 15. Never pay more than $3.00 for flip flops. 16. If you are at the beach, always shower outside. Use a hose if you have to. 17. Have cake by the ocean (we recommend a big blanket). 18. 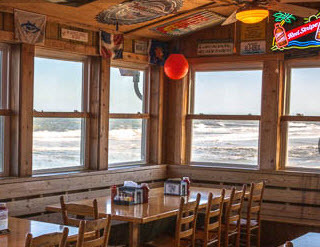 Eat breakfast at the Nags Head Pier. Every beach town has a pier, with a little wooden diner, where the coffee is strong and the waitresses are nice. 19. Use bloodworms for bait. You can catch anything with a bloodworm. 20. Own at least one pair of Birdwell Beach Britches. 21. Don’t be a you know what. Pick up your trash, and always clean up after your doggy. 22. If someone mentions that they remember when the beach road was sand, stop and listen. 23. Don’t Drop In On Another Surfer. 24. The Surfer Closest To The Peak Has Right-Of-Way. 25. Paddling Surfer Yields To Surfer Riding Wave. 26. Don’t Ditch Your Board. 27. Don’t Be A Snake. 28. Do Not Bother Children When They Are Surfing. Seeing the sea is the fulfillment of the faith-from-afar and seeing God is the fulfillment of faith: “If you believe, you will see” (Jn 11:40). To smell the sea is the fulfillment of desiring hope from afar, a most mystical sense. Paddling into the sea is like self-forgetful, self-offering love. It’s an obligation, an offering of self. I have seen this sticker on cars. What do you think they ‘rule’? It truly is an ignorant statement. It is sort of like seeing a Salt Life sticker on a car that lives no where near salt water. They only know it from from their weekend Ocean City of some overpopulated beach town. They have no idea what Salt Life is. Old Guy’s don’t Rule. Trust me I am one. I could go on, but yes………Old Guys Rule. myself to be ruled by anyone and I have almost gotten away with it. Hey you want to read a good story about post-terrestrial living? It’s about a human civilization that develops in a stable gas envelope revolving around a distant star. No ground, minimal gravity, so folks learn to fly from place to place.